US equity indexes closed moderately higher, sp +4pts @ 2144. The two leaders - Trans/R2K, settled higher by 0.7% and 0.4% respectively. 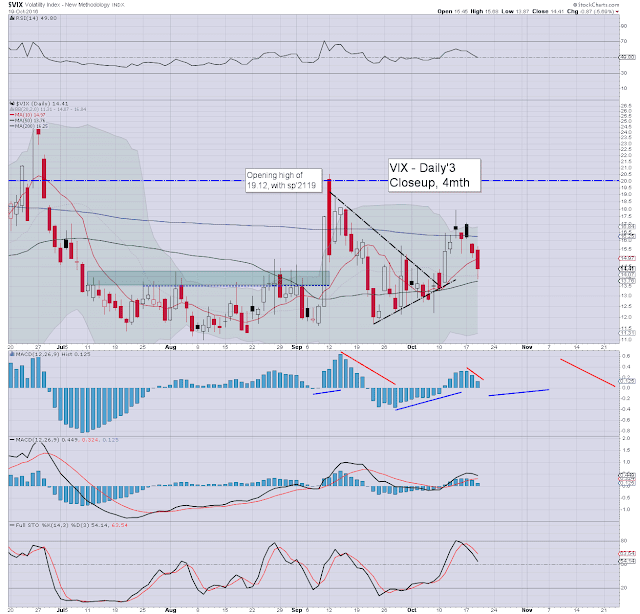 VIX settled -5.7% @ 14.41. 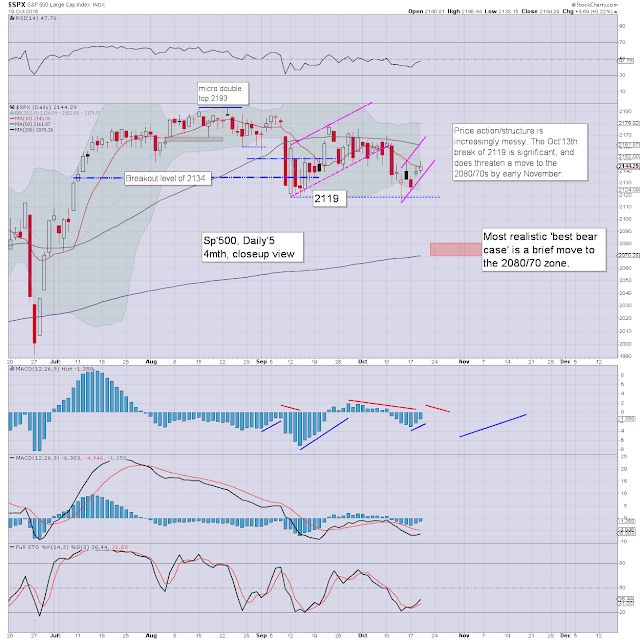 Near term outlook offers renewed downside, with the 2080/70s viable into early November. 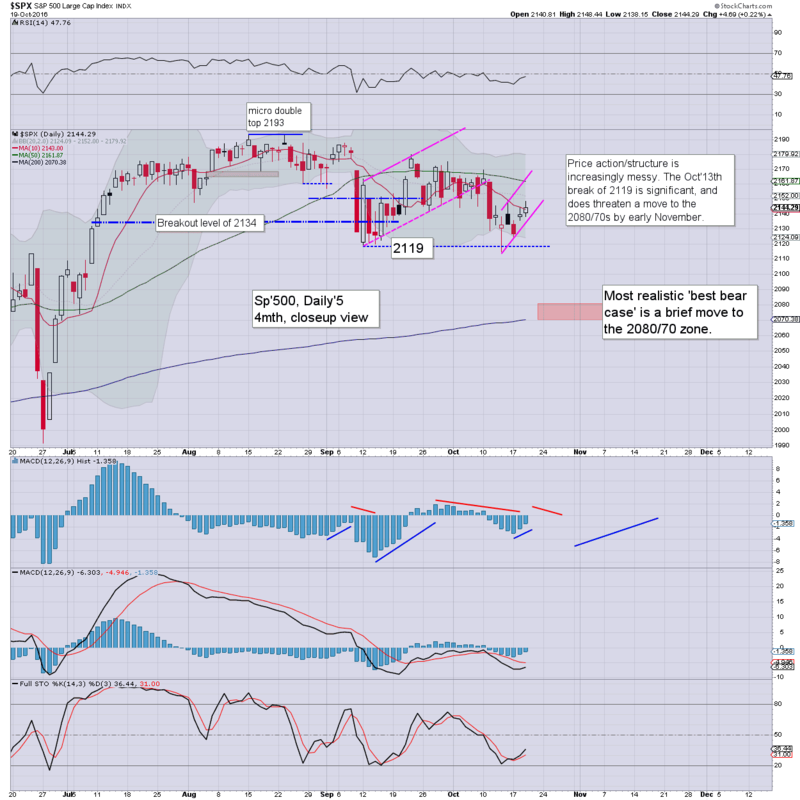 The past five days of price action are likely forming a small equity bear flag. As of late Friday, we'll have provisional confirmation of the flag, with a move <2140. 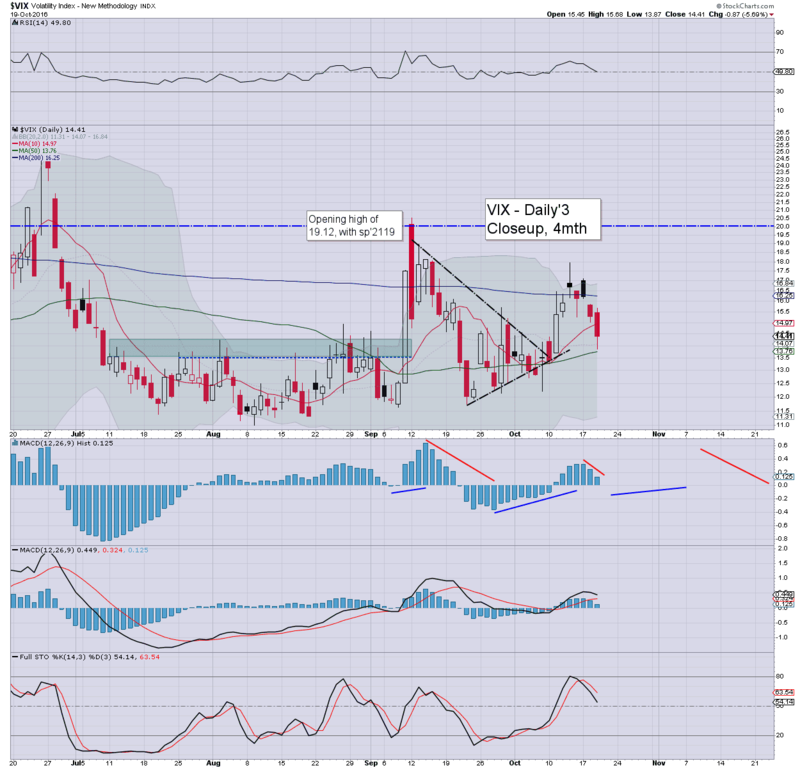 VIX opened in the 14s, and flash-printed a low of 13.87. Another increase in volatility seems a given within the near term, at least to the 17/18s... probably the 20/22 zone. The ultimate issue is whether we see the very bearish sp'2050s.. with VIX launching to the mid/upper 20s. Right now, that still seems difficult.